Andrew B. Barber & Clarence D. Oberwortmann Horticultural Center, Cutting Edge Catering, Catering to your every Whim! Serving Joilet and the entire Chicagoland area! 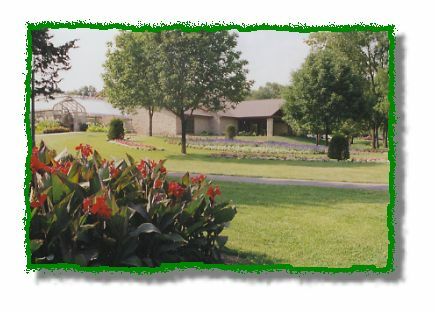 Dedicated in 1998 and newly remodeled in 2004, the Andrew B. Barber & Clarence D. Oberwortmann Horticultural Center, a 12,000 square foot facility, was built adjacently to the Bird Haven Greenhouse. Its limestone exterior with wooden-beamed entryway and easy access to a charming outdoor-covered deck with patio seating is conducive to the natural surroundings of the 630 acres of Pilcher Park. 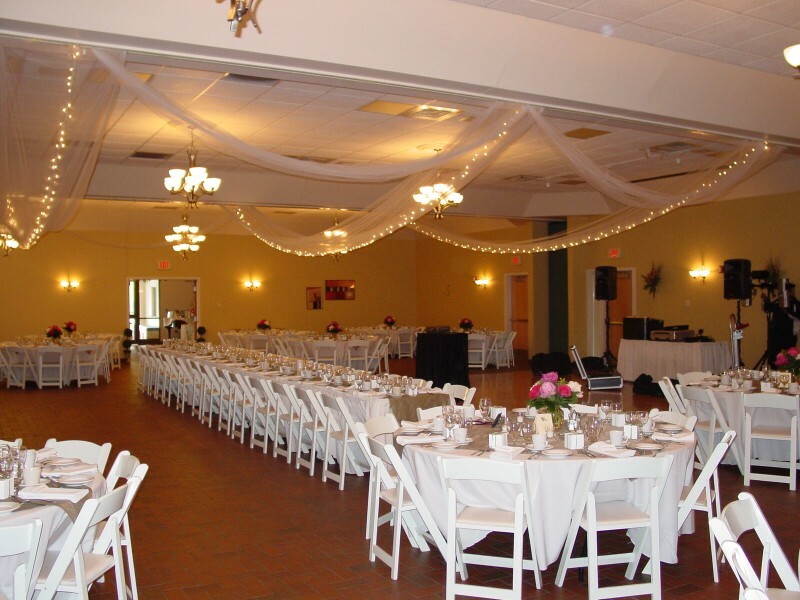 The Horticultural Center is an ideal rental facility for any special occasion. 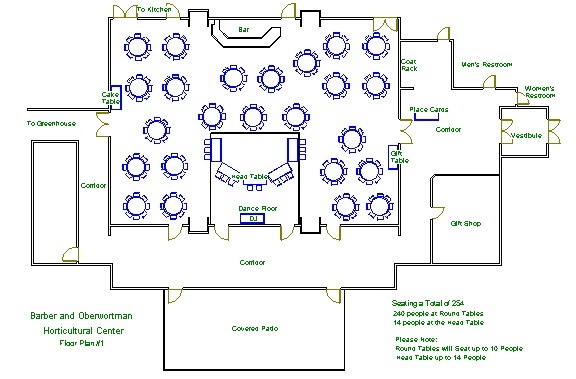 The spacious main hall, with a capacity of 256 people sit down dining and 299 people reception style, can be subdivided into three smaller rooms to suit smaller sized gatherings. The Center attractively enhances the Bird Haven Greenhouse complex while providing additional space for a rental banquet hall. 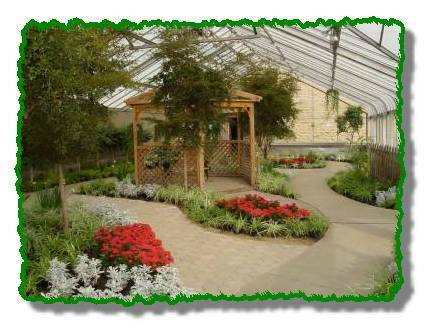 The Italian Renaissance style greenhouse, which is perfect for wedding ceremonies, features spectacular floral shows with seasonal motifs during the fall, winter, and spring. The Outdoor formal gardens are open June through October. The Bird Haven Greenhouse’s formal gardens are the perfect setting for an outdoor wedding or come inside for an intimate ceremony amongst the beautiful flowers and greenery. The hall is perfect for wedding receptions, parties, showers, communions, business meetings, reunions and more! The Horticultural Center provides a truly unique and memorable site to host your next special event.